You stumbled across this blog because you are interested in either installing your own satellite dish or want some help and advise in getting the dish aligned correctly. I’m going to straight right of the bat say that if you want to be able to align for absolute maximum performance, signal reliability etc then you’re going to need a decent satellite alignment tool. I personally use a Promax Ranger spectrum analyser for this task, which allows me to do wide variety of aerial and satellite functions including giving dB strength readings and carrier to noise (C/N) and modulation error ratios (MER), but I’m guessing unless you intend to install satellite dishes professionally for a living parting with a few thousand pounds or dollars is going to be a bit out of the question. I have written this blog to help people attempting to align their satellite dish with useful tips and advice which could save you a lot of money, depending how many times you do it by not having to call out a professional satellite dish installer. Beware that this is not a task for the faint hearted as you must be very accurate with dish alignments. An adjustment of only a few millimetres down here on earth can become a huge distance when up at the satellites that orbit the earth at around 22,236 miles or 35,786 kilometres away from the earth’s surface. Because of the distance away from the earth, the focused satellite beams as is the case for Astra 2 at 28.2E and the very high frequencies that satellite TV broadcasts use you must be very accurate with the dish alignment, which is why it is so much easier with a good satellite alignment tool. Before you start it’s important to know that for satellite dish alignment you must have a clear un-obstructed clear view of the satellites in space. This means there can be no trees or buildings in the wall or temporary structures like scaffolds and the satellite dish cannot work when installed inside the building, like discreetly in a loft. It would be nice, but not possible. To get a satellite dish aligned correctly, you must maximise the signal on three plains. This is the left and right or east and west (azimuth) adjustment. The elevation angle which is up and down and the skew adjustment, this is angle that the LNB itself is fixed into the LNB holder. Your satellite dish needs to align to the correct position for the satellite TV services you wish to receive and this is represented in degrees off due south, not magnetic south like compasses will give you. 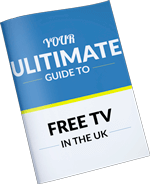 The most common satellites in the UK are the Astra 2 satellites at 28.2E and Eurobird at 28.5E, this will allow you to receive either Sky subscription-based services or Freesat, which is a non-subscription service. Other common satellites of use here in the UK are, the Astra 1 satellites at 19.2E which provides TV from France, Germany and other countries within that region and Hotbird at 13E which provides satellite TV from Poland and satellite TV from Italy, as well as other countries in Europe and North Africa. The azimuth is the most important alignment of them all as once you have got this fixed, it is just a case of setting the elevation before you start to find the satellite. If you have the azimuth adjustment off, you could waste hours finding the wrong satellites (there are loads) so you will need to do some investigation on the satellite angles that you wish to use. Once you have the azimuth set correctly so will need to correctly set the elevation angle before you find the satellite, this is again given in an angle, but the absolute correct angle will depend on where you are on the earth. As the telecommunication satellites orbit around the equator, the Astra 2 satellites occupy a geo-stationary orbit position above the Democratic Republic of Congo for example the closer the equator you’re the higher in the Sky the satellites will be in the horizon. Until you get to the equator where the satellites will literally be straight up above you, the other extreme of this will be in places like Iceland where the satellites will appear very low on the horizon which can make line of sight much trickier due to nearby obstructions like trees and nearby buildings. It is worth noting that for satellite dish alignments in the Northern Hemisphere, like Europe, the USA and North America all satellite dishes will be pointing south towards the equator and for satellite dish installations in the Southern hemisphere you would point your satellite dish North. So, for satellite dish alignments in Australia, New Zealand and South Africa please bear in mind the you are pointing the opposite way so some parts of this article you may need to adjust your thinking as it has been written from a UK perspective. The reason I say that the elevation is not as important as the azimuth alignment, when in reality, it is just as important is because once you have the azimuth set it is far easier getting the elevation right rather than the other way around. Most satellite dishes usually have on them an elevation angle setting which will help you get the right sort of region for the elevation angle setting. Just bare in mind that this angle on the dish itself assumes that the dish has been mounted on a perfectly flat, vertical surface which is quite uncommon. Many dishes also have a spirit level in built like the UK style Sky satellite dishes to assist you with this but beware these are not the best and can often be an impedance to you. The final alignment that needs to be set is the skew adjustment on the LNB. This is the angle that the LNB itself sits within the LNB holder. Most people that these should be set perfectly straight, I have even had a customer remark to me that the LNB was not installed straight but more often that not to install your LNB with a zero-degree angle on the skew adjustment will be wrong and really will affect the satellite signal reliability. Unless the satellites that you wish to align your dish to are perfectly due south (or north down under!) then you are going to need to make an adjustment for the LNB skew. The reason this is so important is because satellite signals are broadcast in both horizontal and vertical polarisations and without setting the skew correctly the LNB and satellite dish will not be able to optimally identify the difference between these and they can interfere with one and another resulting in an unreliable signal, picture pixilation and possible complete loss of signal altogether. To help understand the skew adjustment, if you can imagine looking south towards the satellites around the equator. The ones closer to a zero-degree azimuth will appear highest and because the earth is round (no flat earth theories here as it won’t help you align your satellite dish) the further east or west you deviate from due south the lower the satellite will be in the Sky, so the satellite is effectively beaming the signals at an angle which you have to work with to get the best signal. The next section all about tips and advice to get your satellite dish working properly, if you’re having problems with your satellite reception it doesn’t necessarily mean that your satellite dish is offline as it could be something else, as described in a previous blog ‘Why Is My Satellite Dish Not Working’ which I recommend reading as well. A lot comes with experience so if you have a caravan or a motorhome, you will no doubt become a whizz aligning satellite dishes on your caravan which you will need to do each time you move it, unless you are using some sort of motorized system of course. If you’re doing this for the first time, be patient and don’t beat yourself up as you could do this is a couple of minutes or it could take you an hour. I myself have had trouble finding some of the more obscure uncommon satellites here in the UK and that’s with a state or the art satellite alignment tool and more than a decade of experience. I have tried to structure this section so that it takes a nature order, planning your dish alignment and actually doing the dish alignment but this section should really help you. If you are unsure where to angle your satellite dish, then your are going to need to do some research on this first. I recommend the following for doing so. I love Kingofsat, on it you can get all the information on TV services that you will ever need on satellite TV services. I regularly use it for information on satellite angles, frequencies, packages, encryptions and much more. If you do a search on a particular satellite then you can see everything that is broadcast on that satellite but if you do a channel search based on country in will give you results on everything from every satellite, obviously the one with the most channels is probably where you are going to want to align your satellite dish. I have made this even easier for those of you that are wanting to receive French, German, Italian and Polish satellite here in the UK. Just click on the links below for the following articles which more articles from other countries coming soon. The reason I have included this is because in the back of every of every edition is a complete satellite list and dishes sizes that are required. You may not know this already, but different satellites will require different satellite dish sizes for different satellites. 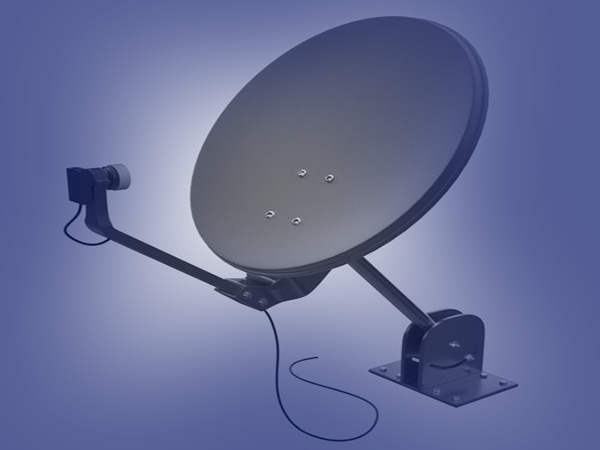 The weaker the satellite signal is in the location where you wish to install the dish, the larger dish you will require for reception from that satellite as larger satellite dishes pick up more signal. It gives separate suggested minimum dish sizes for both the North and South of the UK. This is because the satellite beams are weaker in the North of England and Scotland than they are in the South. This is because the North is physically further than the south and the beam becomes weaker. I used to read What Satellite magazine religiously when I was a trainee and it was full of useful information on the aerial and satellite sector, I still have some 50 magazines which I use for reference. I have always been more interested in the installation of TV systems than watching the TV but there is also information on TV programmes etc. If you are using it just to find out information on your satellite dish co-ordinates then you could just but the one magazine, well worth the £5 odd it costs nowadays. Dishpointer is another treat. I love using Dishpointer for satellite TV surveys. When combined with Google Maps I can usually get a very good idea of where a satellite dish can or can’t be installed to avoid nearby obstructions like trees all without having to leave my desk. This saves me hours driving around looking a satellite installation and gives me more time to write articles and blogs like this, which hopefully will be worth it for you. What Dishpointer allows you to do is enter your geographic location, this can be anywhere on the planet and the satellites you wish to receive from, hence finding this out from Kingofsat first and this will give you the co-ordinates for your elevation angle and skew adjustment. It will also give you a very helpful Birdseye view map with a line in the direction of the satellite. Just find your house and use a reference point in the direction and you have saved yourself a whole heap of time wondering where the satellites are. This will only be a rough help so please do not rely on this alone. This section is still about planning your satellite dish alignment, but this is more so when you’re about to do it. Rather than just finding co-ordinates which you should have done already before this point. There are lots of satellite alignment apps out there, free and paid. I believe that the Dishpointer App costs around £10 but what this will allow you to do, when calibrated correctly, is to hold up your phone towards the satellites and using the camera and your geographic co-ordinates it will map out on screen where the satellites appear in the Sky on the horizon. This can help you visualise where the satellites are and identify any line of sight issues like clearance of a nearby obstacle and is imperative to get right when doing motorized satellite dish installations. Just remember that when you are aligning your satellite elevation that when you do so the clear majority of the time you are not physically angling the satellite back reflector (the big round bit) to this as most of the dishes installed are what’s called offset satellite dishes. The satellite signals are beamed down whatever angle they are in your location and then they are bounced back at a different angle towards the LNB which sits underneath. This is done so that the LNB itself doesn’t block the signal and the reason why things like Sky mini-dishes don’t look like they are pointing to the Sky at all. There are satellite dishes called prime focus satellite dishes where the LNB is mounted centrally, these are usually much larger to consider of the LNB itself blocking a proportion of the signal and the entire dish needs to be angled up towards the satellite. These types of satellite dishes are more common the closer you come to the equator where the satellites are much higher in the Sky. I wouldn’t rely 100% on the results in gives you as these can be hit and miss, personally I would advise using a compass and inclometer instead but not everyone has one of these lying around, like they do a Smart phone. You can beat a good old compass and inclometer and I much prefer using one of these to quickly find a satellite angle. Some of the benefits of using one of these is that you can quickly pull one out and it doesn’t require power or a WIFI or mobile internet signal. My compass/ imclometer cost nearly £50 but it has saved me hours and testing for satellite signal directions. The one downside to using a compass to find your azimuth angle (east/ west) is that it will direct you to magnetic south and not due south, often these are the same but because the magnetic field around the earth changes there can be as much as few degrees difference which can be catastrophic when aligning satellite dishes. I even watched a document recently where they said that it would possible in the near future that the entire earth’s magnetic field could completely rotate so that compasses will point north. I’m not sure if they will still be installing satellite dishes when that happens however! To find the current magnetic south/ due south comparison so you know how many degrees to take into consideration when aligning your satellite dish, I recommend going to this website. I have already said that the field metre I use for satellite dish alignments cost me a few thousand pounds, but you can purchase very good usable satellite only models for only a few hundred pounds. If you have got the money I would absolutely go and buy one, but you have to be aligning satellite dishes semi-regularly otherwise you may as well just pay for an aerial and satellite company to come and do it for you, which we can do if you are in Sussex or South Kent. My meter among other things will allow me to see in almost real time the signals and transponders as I move the satellite dish to quickly find the one I want. Over time when you are doing this often enough you will just learn what they look like on your screen from the frequencies that the transponders appear on. For example, I can tell what Astra 2, Astra 1 or Hotbird each look like without any further information, but if I was looking for another satellite. Using the information, I have already gained from Kingofsat I look in the region identified by Dishpointer or my compass and when I find something I can scan one of the channels automatically and my metre will tell me what satellite my satellite dish in angled to with an azimuth angle. From this I could then work out if my dish needs to be pointed further east or further west. For example, if I had found Astra 2 at 28.2 and I wanted to find Astra 3 at 23.5 I would know that I need angle my satellite dish 4.7 degrees further west, also increase the elevation slightly as we are coming closer to due south. The opposite would be the case if you are heading the other way. Once I found the satellite my metre tells me everything I need to know about signals strengths and reliability. I can even if I find an unencrypted service display a TV picture on my screen, known as demodulation. This is helpful for showing that the satellite dish is working to customers when there is no satellite equipment that can be connected but is not essential if you understand dB, MER, C/N and Bit Error Ratio readings. From these you can see whether the satellite dish is working or not (BER) and how reliable the signal is, usually given in a Carrier to Noise ratio (C/N) but a Modulation Error Ratio reading is better for digital satellite TV signals. For your reference for reliable satellite reception you should aim for a minimum signal strength of at least 52dB and a MER or C/N reading of more than 12dB at the receiver end for reliable reception. DVBS-2 Compatibility – This is a different more efficient compression technique usually used for HD broadcasts, over time more and more broadcasts will move to the DVB-S2 standard and you satellite alignment will last for far longer. Most satellite receivers will give you some sort of signal strength readings, usually this will include a signal reliability or signal quality reading also like on standard Sky boxes and Freesat boxes. Although the bars or percentage readings don’t really mean anything, I mean this by the fact that there is no such thing a 100% satellite signal reading that many give you. Signals just aren’t read that way. It can be used as a rough guide to show if you have a good or bad signal. I wouldn’t try aligning a satellite dish using these reading but if you’re I recommend moving the dish at short intervals and giving the satellite receiver 10 seconds or so to see if it can lock on the signal. There is however on most generic satellite receivers, usually used for foreign TV here in the UK a bleeper or squawk setting that will give an audible beep when the signal is at it’s strongest. If you can position this, perhaps with a window open so that you can hear the beeps or highest pitch tones you can use this to get your dish online. Once again you have to your satellite dish pointing roughly in the right direction already, hence using the compass to find your rough direction first otherwise you could be locking onto the wrong satellites which won’t give you the channels that you want. This is a method we use when installing satellite broadband dishes as we can’t connect our analysers to the dishes required for this as they are not compatible, although this dish itself would give out the audible tone instead of the satellite receiver. The following section is full of tips that I know use without thinking but may not be obvious to those who don’t do this everyday of their lives and should save you some time at least. One thing could save you a fair amount of time, certainly picking the correct position would be to use a neighbour’s satellite dish as a reference point to where you want to point your own dish. You can’t rely on these entirely however as depending which way you’re looking two satellites dishes pointing the same way can still look they are off somewhat. Also, you would be assuming that the neighbours dish is pointing the correct way, it might not be, they might not even use the thing or it could be aligned to satellites that you don’t want like those used for foreign TV. The satellite dish doesn’t have to be installed on a south facing wall, it could be installed on a north facing wall or on a chimney stack, but a south facing is usually much easier. Obviously, the complete opposite is true for when you are trying to align a satellite dish in Australia but if you’re to install a satellite dish on the north side of your property you would have to mount your satellite dish onto a pole so that it can look over your building itself, this is creating more work and not always easy with high pitched roof lines and building with deep eaves and soffits. If you know you satellite azimuth direction, which you should do already you could also install or a east or west facing wall but the dish would still need to be pointing south with a clear unobstructed view of the satellites. If you have read all of this and you don’t fancy the task, you could contact a professional aerial and satellite engineer in your and if you’re based in East Sussex we would love to help you. For £62.50+VAT we can come out and professionally align your satellite dish for you using state of the art satellite alignment tools for absolute maximum signal quality and reliability. We carry a vast array of parts and components on the van so if you needed any replacement part we almost certainly would have them. This could save you a few trips to the DIY store alone. We can help in particular with difficult to access satellite dishes, like when a satellite dish has been installed high up on a wall or chimney stack or for finding obscure satellites not often used here in the UK, like those for European TV. Contact us today to discuss your satellite dish alignment in East Sussex. Anyway, I hoped you liked the blog, please do check back for future articles and if you have any questions please do LEAVE A COMMENT in the section below. Please do this instead of e-mailing as everyone reading this in the future will get the benefit of the further help and advice in the answers given to your questions.